Now, DC Comics is proud to present this comics classic in an all-new Absolute Edition format. The first of four beautifully designed slipcased volumes, THE ABSOLUTE SANDMAN VOL. 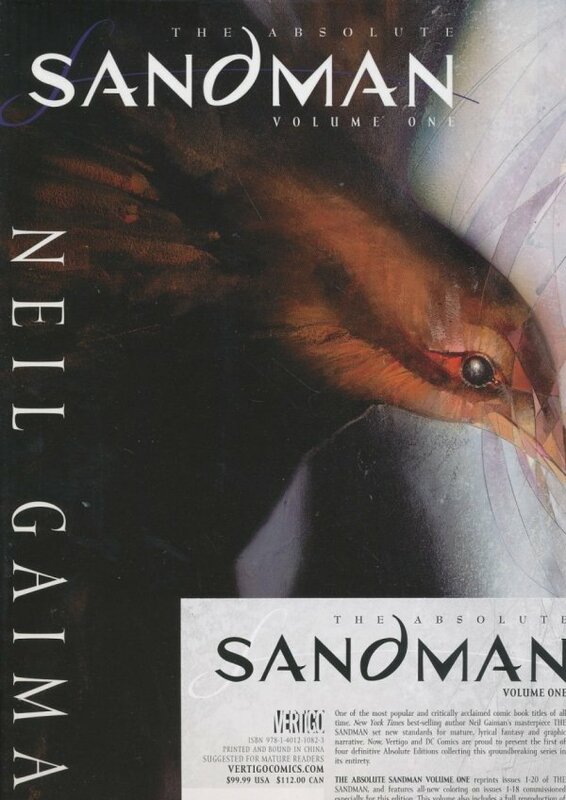 1 collects issues #1-20 of THE SANDMAN and features completely new coloring, approved by the author on the first 18 issues, as well as a host of never-before-seen extra material including the complete original Sandman proposal, a gallery of character designs from Gaiman and the artists who originated the look of the Sandman, and the original script for the World Fantasy Award-winning THE SANDMAN #19, "A Midsummer Night's Dream," together with reproductions of the issue's original pencils by Charles Vess. Also included are a new introduction by DC President & Publisher Paul Levitz and an afterword by Gaiman.